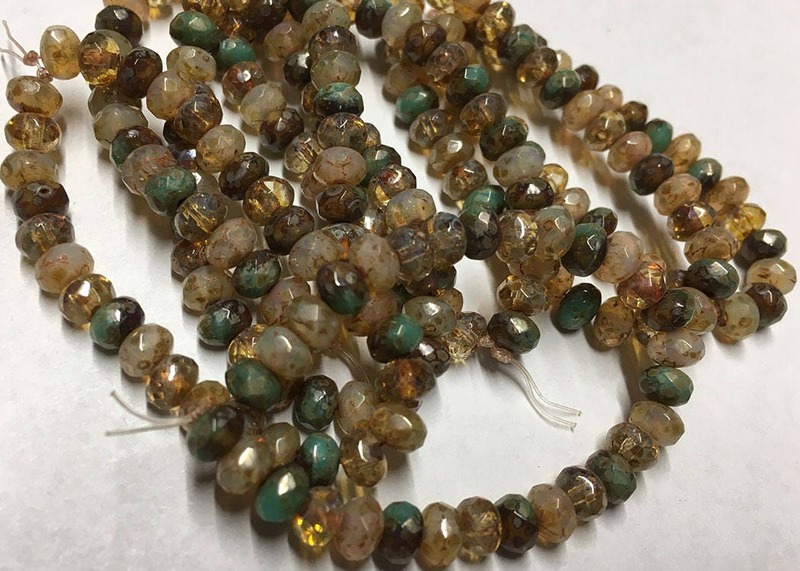 Mix of opal champagne, transparent, and brown-turquoise. Silverish finish around the whole bead. Czech pressed glass small sized faceted rondelle beads.